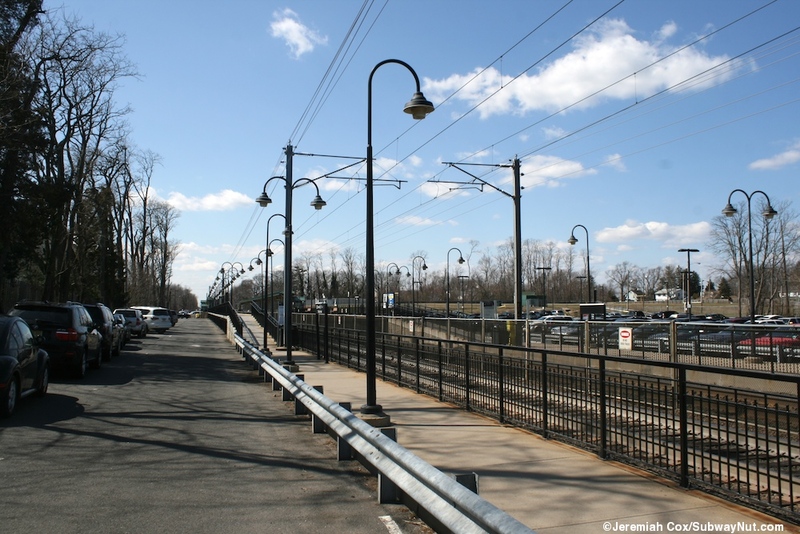 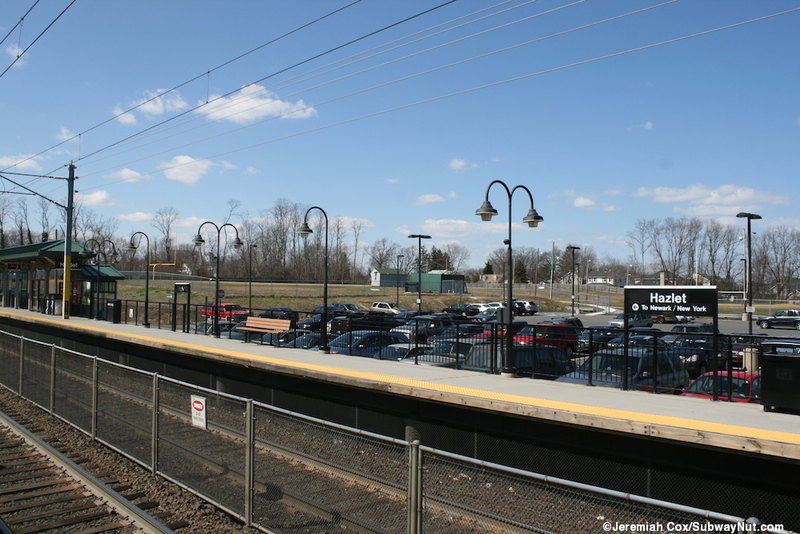 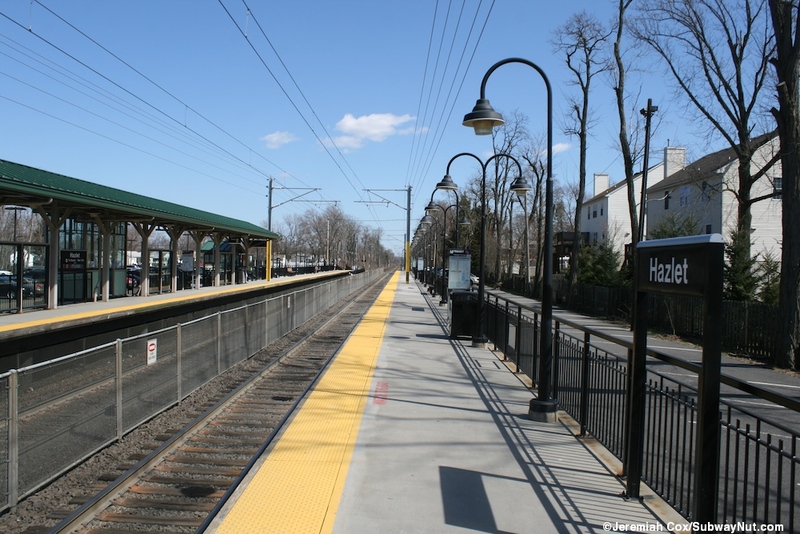 Hazlet is a modern two high-level side platform station along the North Jersey Coast Line located in a residential area. 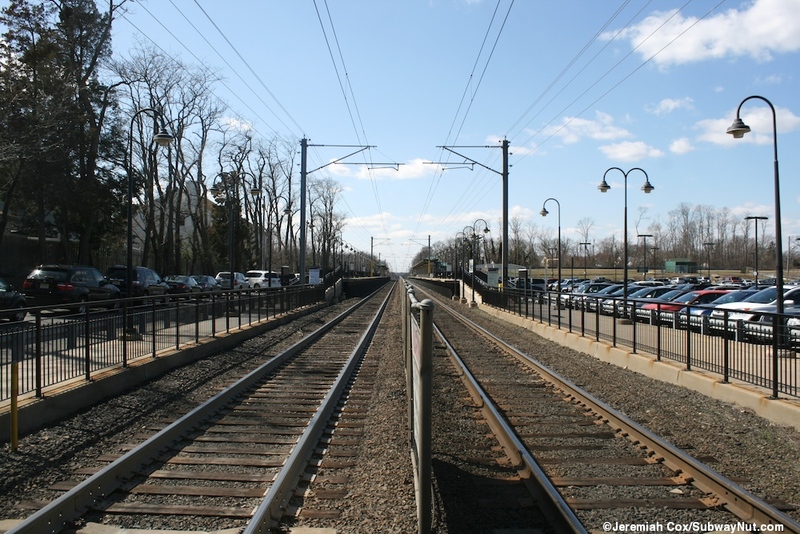 The New York and Long Branch Railroad tracks opened through this location in 1875. 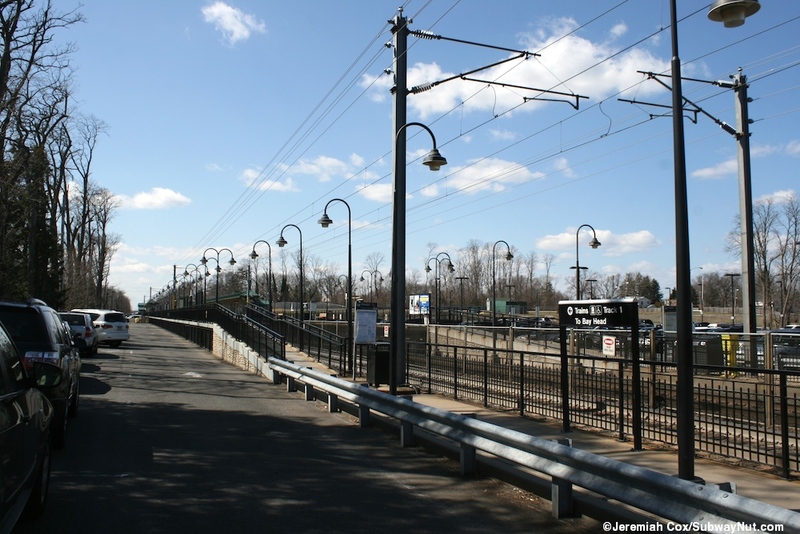 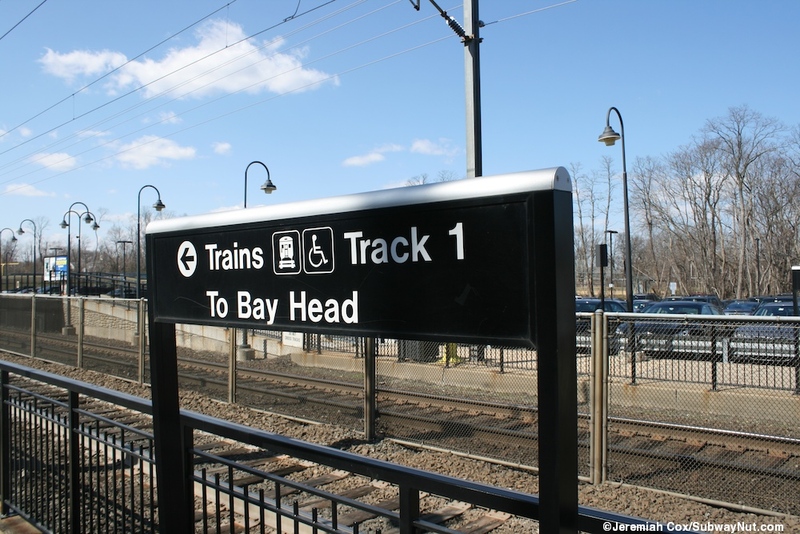 The station is the most northern one on the last segment of the North Jersey Coast Line from Matawan to Bay Head to be electrified in 1988. 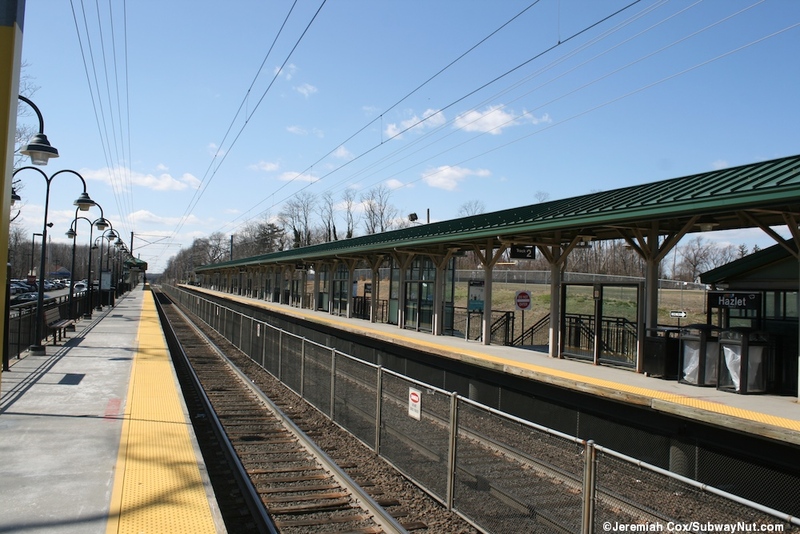 The entire station was completely rebuilt in 2003 with two modern high-level side platforms. 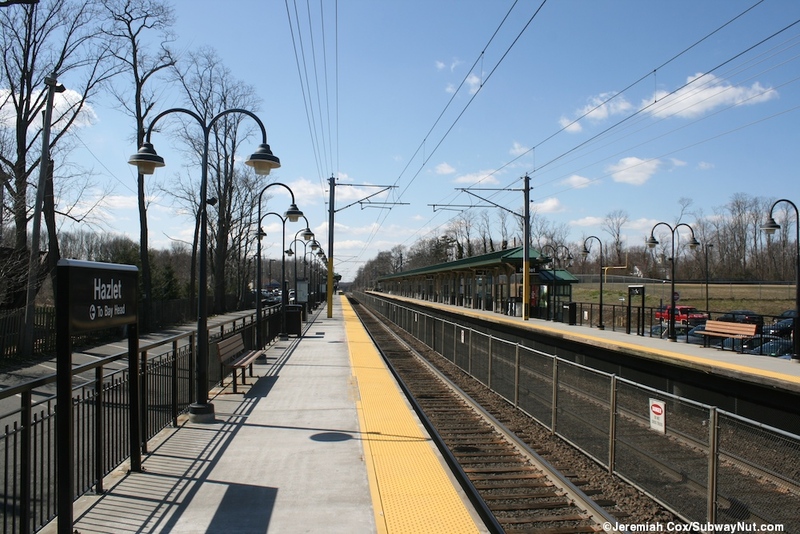 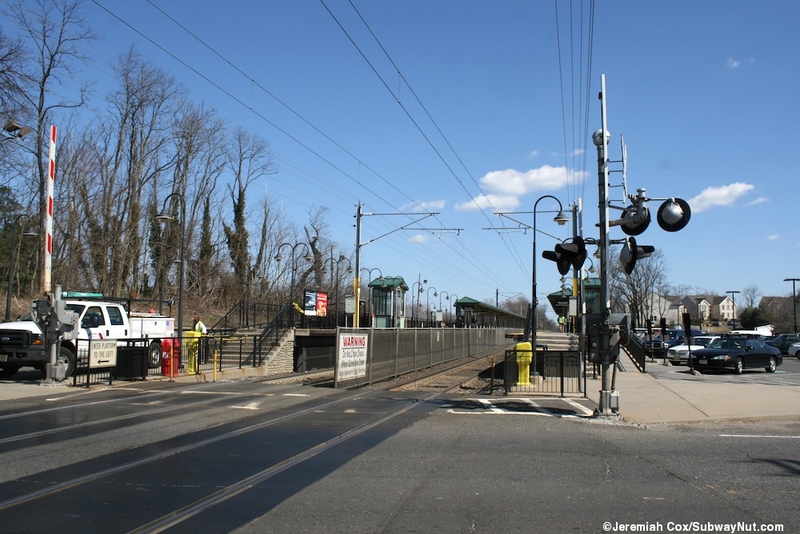 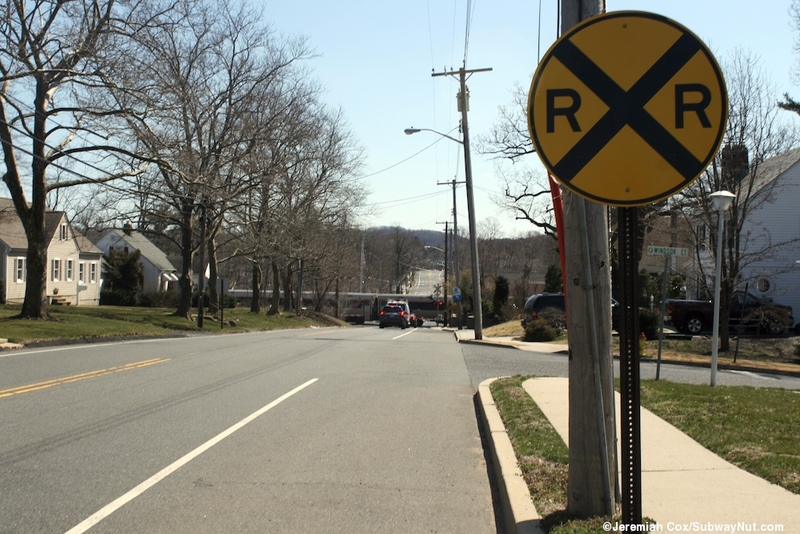 These side platforms begin at the grade crossing of Holmdel Road, run for ten cars and almost reach the grade crossing of Hazlet Avenue. 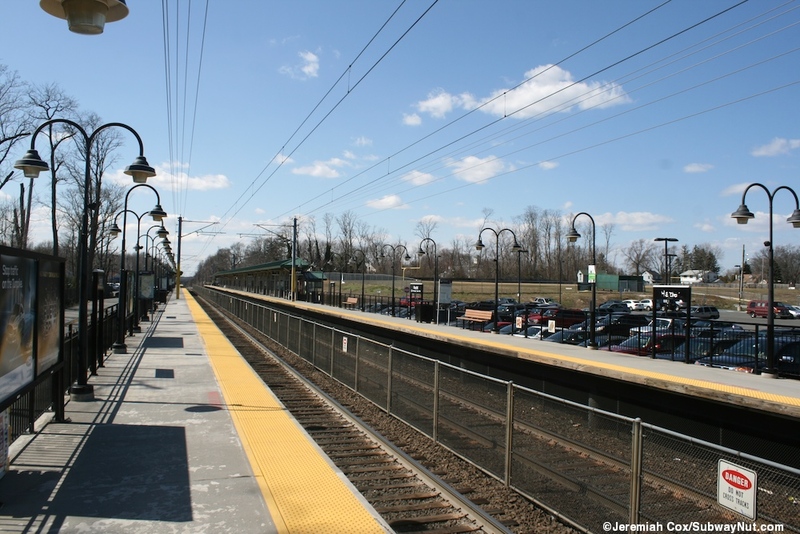 The platforms have ramps up at each end and various staircases down to the parking lots along each side of the station. 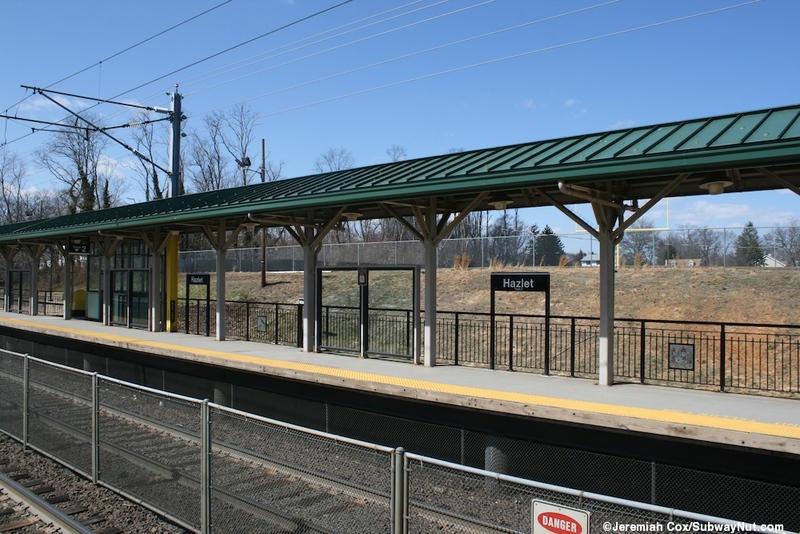 The platforms have canopy structures with cream colored posts holding up a green canopy. 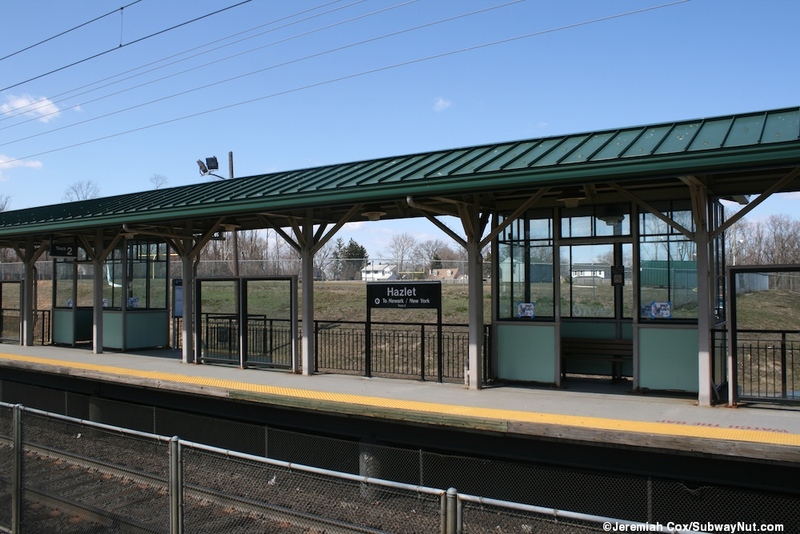 These canopy structures begin towards the Holmdel Road end of the station and cover about half of the Newark-bound platform and a quarter of the Long Branch-bound platform. 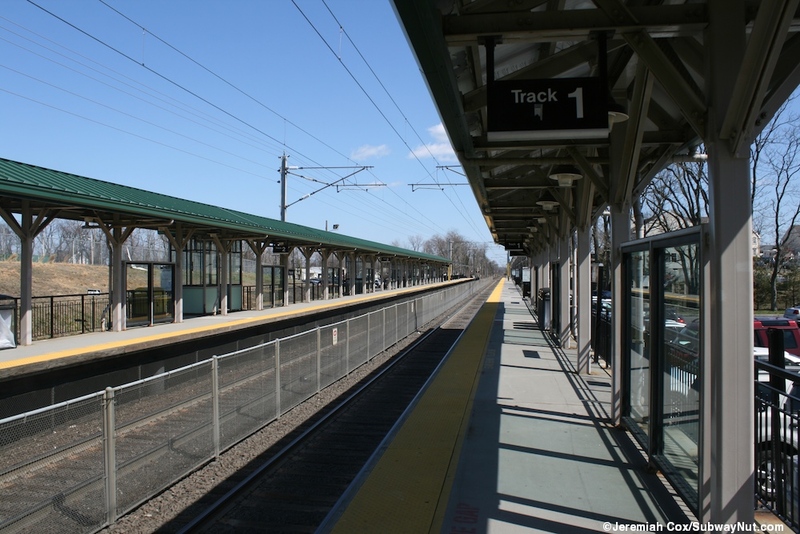 The Long Branch-bound canopy has one, and the Newark-bound platform five, small windscreened enclosures (with a narrow opening and tan and green structural beams) extend back from each platform where a canopy and windscreen cover a bench or in the case of one on the Newark-bound platform, the station's only two TVMs. 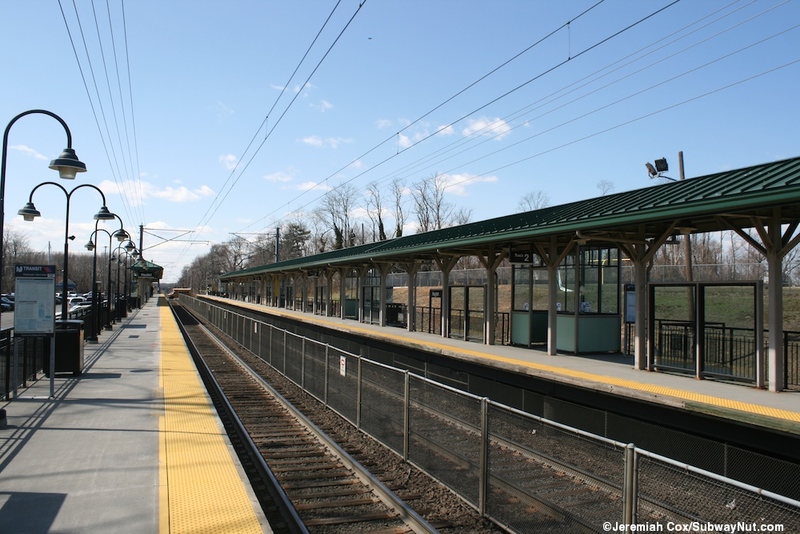 There is an additional shelter separate from the main platform canopy at the Holmdel Road end of each platform. 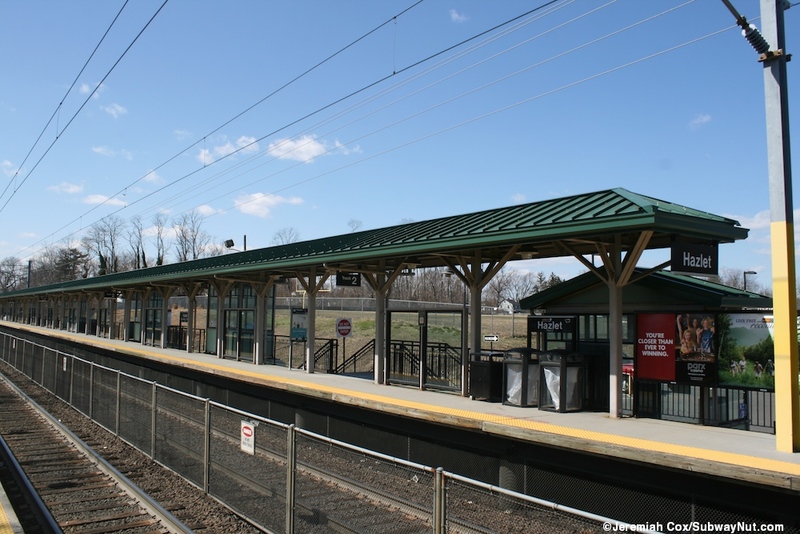 A final shelter is beneath each platform to serve the parking lot needs with a pay box and for passengers waiting for rides or taxis (there is a line of them along the Long Branch-bound platform). 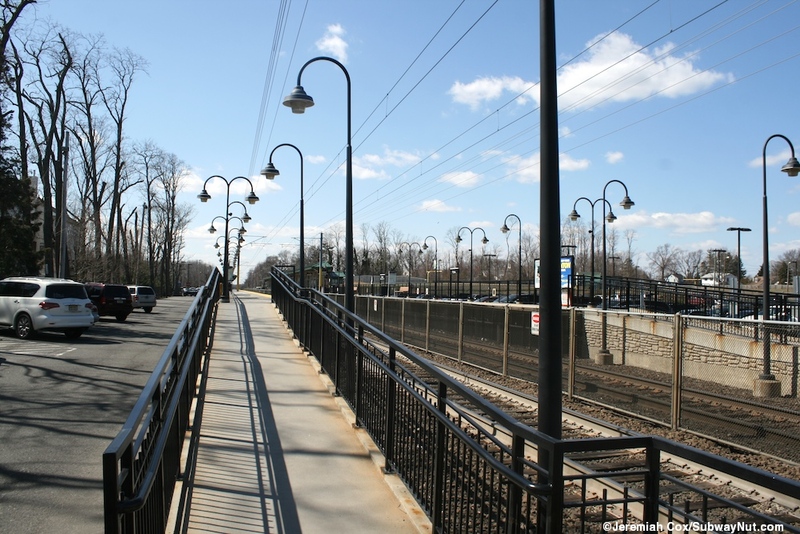 Lampposts are black and generic, and there is a low black fence along the length of each platform. 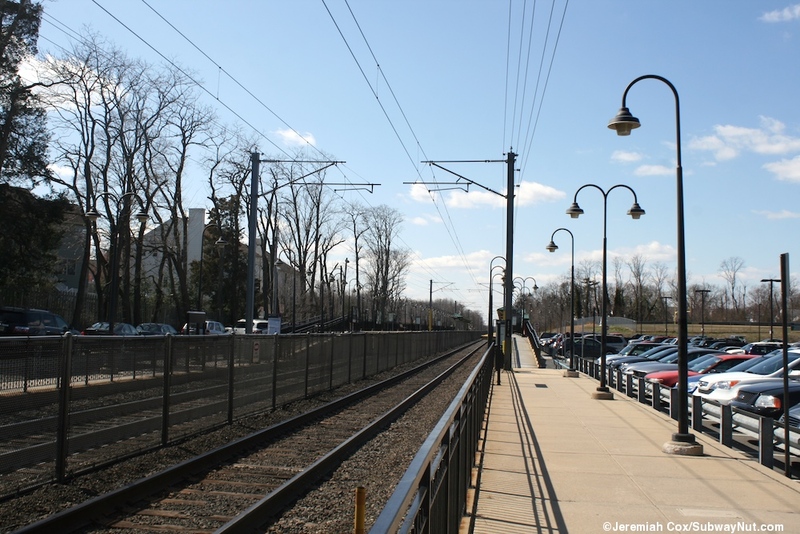 Artwork:The platform fence has Country Motives by Yakov Hanansen. 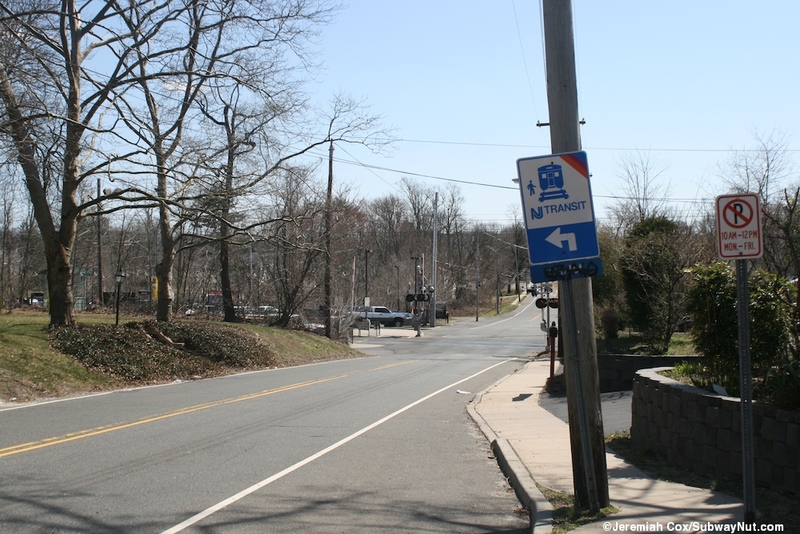 These are 26 mosaic squares (some danaged) depicting the history of country life in Hazelt. 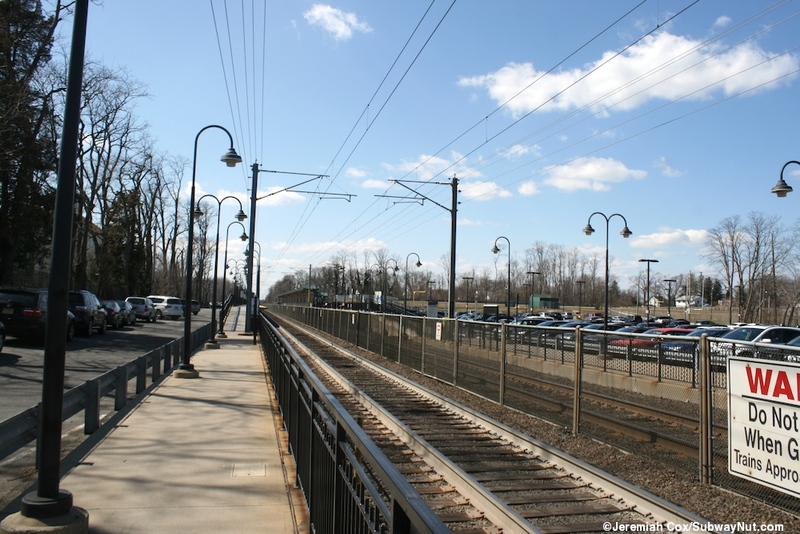 These squares face both the platforms and parking spaces/driveways along each platform.